U.S. House Science, Space, and Technology Committee Chairman Lamar Smith (R-Texas) yesterday sent a letter to the DHS demanding a complete response to the committee’s 5 December request and threatening the use of compulsory process to obtain documents related to the DHS Binding Operational Directive (BOD) 17-01. The BOD required all government agencies to identify and remove Kaspersky Lab software from their computer systems. Reports of chemical weapons use around the world raises serious concerns about non-state actors’ access to weapons of mass terror (WMT) and reinforces fears of a possible terrorist attack with chemical, biological, radiological, or nuclear (CBRN) weapons in the West. Today’s terrorist networks move operatives, money and material across borders and through the crevices of the global economy, making tracking such adversaries a daunting challenge. In this new norm, the security of the United States will rely on novel, game-changing modeling techniques and solutions to curtail mass terror events. It is crunch time for government contractors. They only have until 31 December 2017 to demonstrate they are providing appropriate cybersecurity for a class of sensitive data called Controlled Unclassified Information (CUI). Otherwise, they risk losing their contracts. For organizations that may be struggling to meet the deadline, the National Institute of Standards and Technology (NIST) has a new publication intended to help. MeMed, an Israeli company specializing in molecular immunology, informatics, clinical infectious diseases and in vitro diagnostics, last week announced it has been awarded a $9.2 million contract by DoD’s Defense Threat Reduction Agency (DTRA) to fund the completion of MeMed’s point-of-care platform for distinguishing bacterial from viral infections. CUBRC, Inc. two weeks ago announced that CUBRC’s Biological and Medical Sciences team, in collaboration with EpiVax, Inc., has received a four-year grant worth $1.87 million from the Defense Threat Reduction Agency (DTRA) within the Department of Defense (DoD). CUBRC, EpiVax, and scientists at the University of Florida will be investigating immune cells from patients that were previously infected with Burkholderia pseudomallei to understand how this bacterium evades the human immune system and use that information to engineer an effective vaccine. 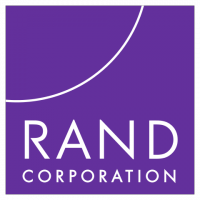 DHS has selected the RAND Corporation to operate the Homeland Security Operational Analysis Center (HSOAC), which will conduct technical and operational research and analysis to aid the department. The new center is a federally funded research and development center, and is funded under a five-year contract worth as much as $494.7 million. Block MEMS, a developer of Quantum Cascade Laser (QCL)-based infrared detection systems, has been awarded a $9.8 million contract from the Intelligence Advanced Research Projects Activity (IARPA) to develop a system that can detect trace quantities of chemicals at standoff distances of at least 100 ft. The Professional Services Council (PSC) is concerned that a proposed DHS research and development center could eliminate contractor competition. DHS issued an RFP on 14 September for a contract to operate the Homeland Security Operational Analysis Center, meant to be a replacement for the Homeland Security Studies and Analysis Institute (HSSAI), which provides independent analysis of policy issues. Intelligence analysts working to identify national security threats in warzones or airports or elsewhere often flip through multiple images to create a video-like effect. They also may toggle between images at lightning speed, pan across images, zoom in and out or view videos or other moving records. These dynamic images demand software and hardware tools that will help intelligence analysts analyze the images more effectively and efficiently extract useful information from vast amounts of quickly changing data. Sandia Lab and EyeTracking, Inc. will research and develop tools to improve how intelligence analysts gather visual information. radiation that may lead to severe health consequences post-exposure. To rapidly triage large numbers of people to determine who needs immediate treatment, a new, simple screening test is needed. Currently, if a person has absorbed a significant dose of ionizing radiation, there is nothing that can be done beyond waiting to see what symptoms develop, which roughly correlate with exposure level. SRI International has been awarded a $12.2 million contract to continue development of a diagnostic test for absorbed doses of radiation following a radiological incident. BiometricsDHS awards $58.9 million biometric support contract to Ideal Innovations, Inc.
Arlington, Virginia-based Ideal Innovations, Inc. (I3) has been awarded a contract by the Department of Homeland Security (DHS)’s Office of Biometric Identity Management (OBIM) to provide specialized fingerprint analysis in support of OBIM’s Biometric Support Center (BSC). The BSC provides fingerprint identification services when the automated matching capabilities of DHS’s central repository cannot determine whether two sets of fingerprints match. The U.S. Agency for International Development (USAID) has issued a Broad Agency Announcement (BAA), saying the agency is looking for opportunities to co-create, co-design, co-invest, and otherwise collaborate in the development, testing, and scaling of practical and cost-effective innovations to help healthcare workers on the front lines provide better care and stop the spread of Ebola. USAID notes that this funding mechanism will not support research that does not provide a clear path to development and testing of prevention and intervention strategies. Awards are in the range of $100,000 to $1million. USISof Falls Church, Virginia has laid off more than 2,500 employees after it lost contracts with the Office of Personnel Management(OPM) and DHS. Until recently, USIS performed many of the background checks for federal security clearances, but after the firm suffered a cyberattack in August, OPM decided not to renew two major contracts which expired on 30 September 2014.